It seems that in the pursuit of the American Dream another idea was born with it. The idea of short cuts to success. Some idea or way of doing something that will guarantee success instantly with little to no effort on your part. I call them get rich quick schemes and yes, I have even fallen as prey once or twice myself. I see so many people ignore ideas and plans that would make them money in six months for the chance at a instant riches with some new get rich quick scheme. It saddens me because many of these people never try again or worse, they move from one scheme to the next never making any money. We all know these people and many of us have “dabbled” in it ourselves. 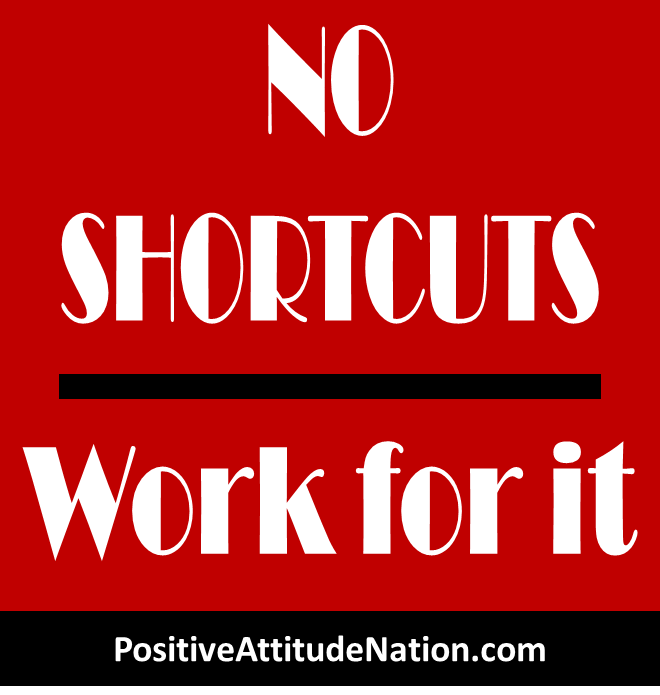 Deep down we all know that there are no short cuts to success. My question then is why do we keep looking for the magic pill when we know it doesn’t exist? Because the answer is too daunting and requires so much work and time that we can’t ever see ourselves as actually being rich. When we sat down to discuss the name of our local investment group, we put a lot of thought into it. We didn’t just pull the name out of the hat. Renegade Detroit Investors was chosen to shake things up and to change the idea of what real estate investment groups can be like. For those of you who attend our meetings, you have had some amazing speakers at various stages of there road to success who have achieved great things. Not once has a speaker given you a get rich quick scheme. Our Renegade speakers all had one thing in common. They did something every day to get them closer to success. It’s amazing how one thing a day can completely change your life in a few short years. They became Renegades by shunning the desire for instant riches and short cuts to success and focused on doing just one thing a day. We can all do just one thing a day and when you think about it that way, the road and idea of success becomes far less daunting and much closer to becoming a reality.